OC Inc. Posts in category: "Online Hate"
Posts in category: "Online Hate"
The tragic news this morning about the terrorist attack on Muslim faithful while praying in a Mosque sickened us. We join with the statements of the national setting of the United Church of Christ in condemning white supremacy, racism, Islamophobia, anti-immigrant sentiment and hatred of all kinds and to reject the times when Christian doctrine has been used to justify these vile beliefs, an attitude that was cited in the manifesto of the arrested suspected shooter. As a supporter of the Change the Terms Campaign, UCC OC Inc. joins with its colleagues in re-committing itself the our efforts to do our part by working to eradicate hate online. We strongly encourage all social media platforms and other platforms whose infrastructure supports hate--and fails to stop hateful violence--to adopt and implement the Change the Terms model terms. The Change the Terms policies would require internet companies to adopt policies to stop hateful activities, to ensure their systems to report hate online are fairly implemented, to hold themselves accountable and publicly share detailed data and reporting on its efforts. 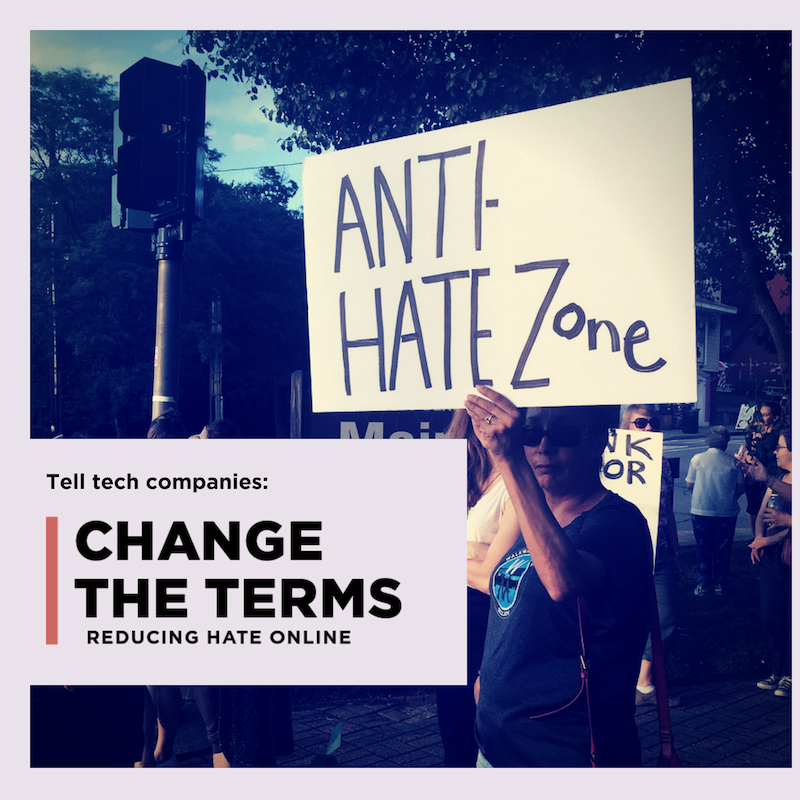 A company complying with Change the Terms would constantly evaluate and improve its tools and products to ensure no community is the target of hateful violence. In particular, today with Change the Terms and other partners, we call on internet companies to use all existing capacities to immediately remove the video of today's attack from their services. We call on everyone to not share these videos or the document and to flag them to internet companies for removal. Organizations can endorse Change the Terms and individuals can sign the petition.